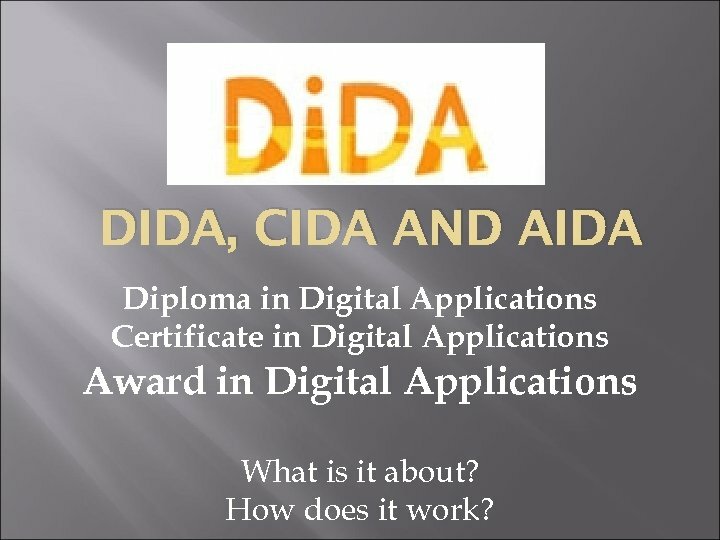 DIDA, CIDA AND AIDA Diploma in Digital Applications Certificate in Digital Applications Award in Digital Applications What is it about? How does it work? Ai. 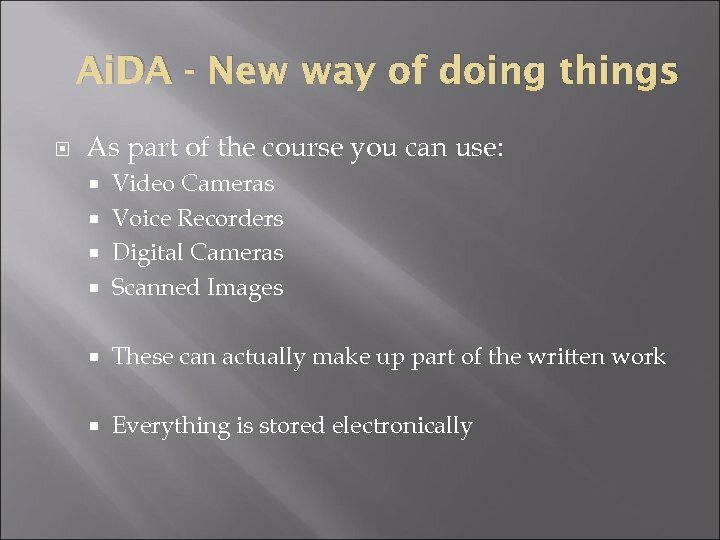 DA - How does it work? 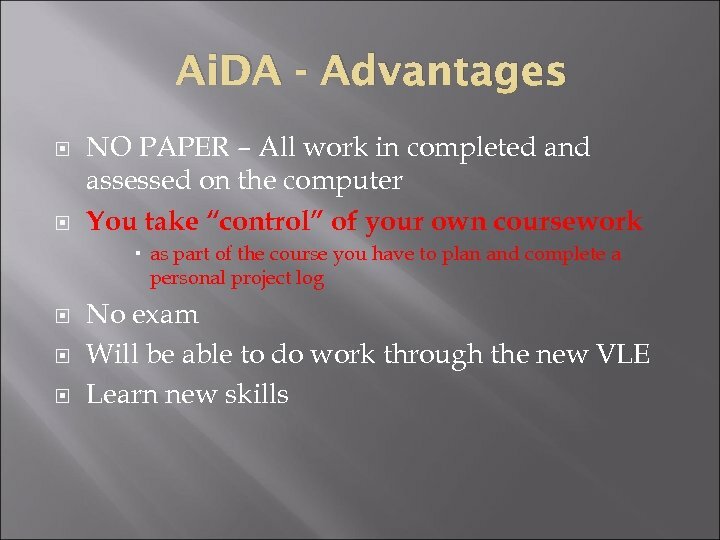 Each task has an SPB – (Specific Project Brief) Each SPB is made up of short tasks All tasks are required in the e-portfolio and are therefore assessed components. 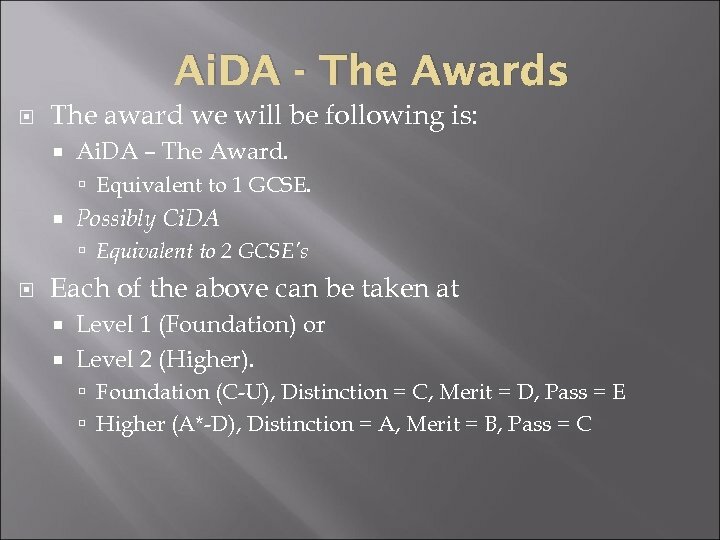 At each stage there is a tick symbol if it is an assessed component or a blue arrow for a background task. 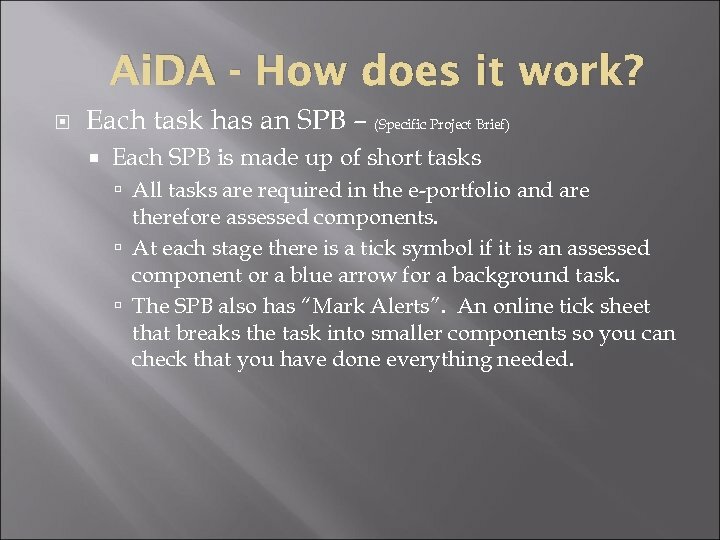 The SPB also has “Mark Alerts”. An online tick sheet that breaks the task into smaller components so you can check that you have done everything needed. 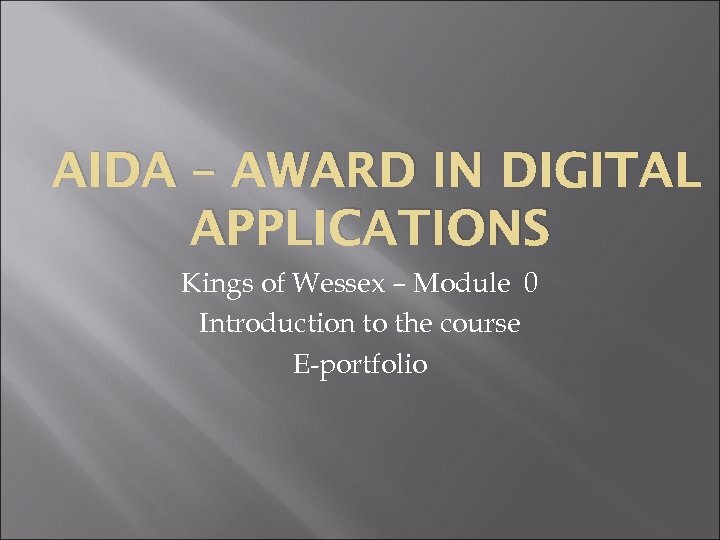 E-portfolio This is one of the most important parts of the overall project. 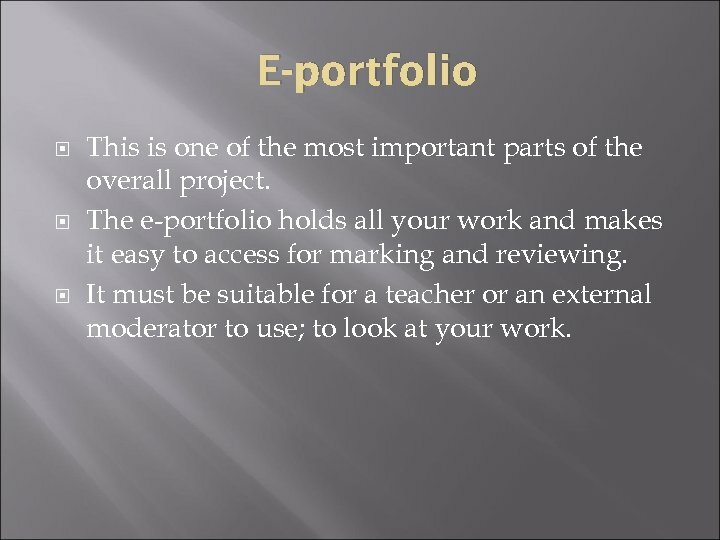 The e-portfolio holds all your work and makes it easy to access for marking and reviewing. 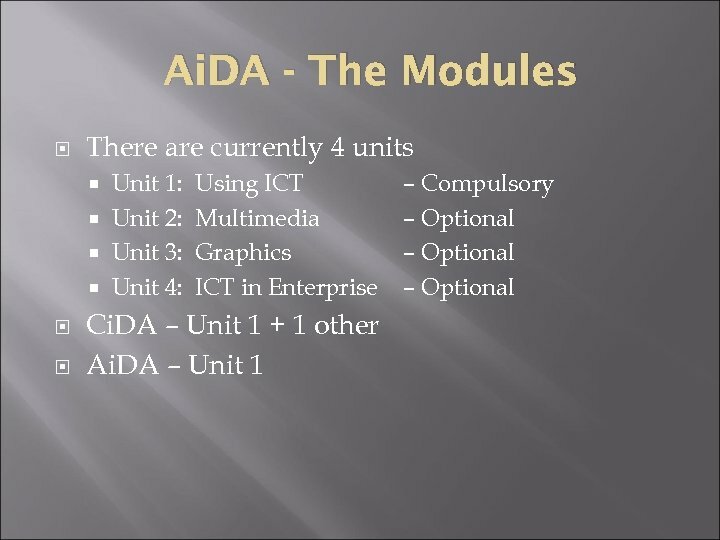 It must be suitable for a teacher or an external moderator to use; to look at your work.